Growing up I don’t remember a computer being remotely important in my early childhood development years. 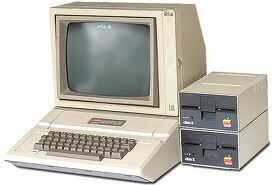 The first memory of a computer for me was in grade school and it was probably when I was in 5th or 6th grade for computer lab time on a huge Apple machine. I was the child that loved to play with imaginary friends, run outside with neighbors, play teacher or organize my Barbie’s. 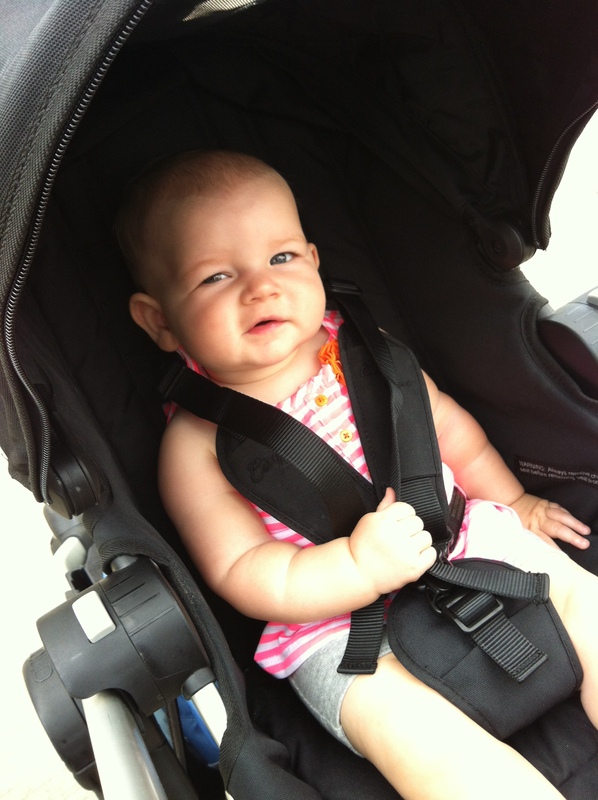 My daughter on the other hand (30 years later) will grow up in a complete tech environment. Abbey has been and will be completely surrounded by various types of technology from George’s Kindle to my iPad to each of our iPhones to her very own iPod touch. There are even “toy” iPhone and iPad protectors that encourage play from 6 months up on such devices (Abbey has one for the iPhone). When Abbey was first born, her arrival was announced via Facebook and Twitter by both George and I plus our patiently waiting visitors. George and I both laughed at the hospital photographer when we declined the hospital pictures. She tried to argue by asking, “How will anyone see pictures of your baby if you don’t let me take them and post to our hospital website?” I thought this was a joke since her picture was posted to social media via smart phones just minutes in recovery. The point I’m trying to make is that Abbey will grow up with such a different point of view on the world simply because she was born into the digital age. Will she ever know what the Dewey Decimal System is and how to use it? Probably not. Will she ever know what a phone book is and will she ever sit on one or two as a mock booster chair at a high table like I had to do? Most likely no! Will Abbey ever thumb through an Encyclopedia? Why would she when Wikipedia is always at her fingertips? Although some of these realizations are somewhat disturbing (it would be hard to stack iPads for her to sit on to reach the table), there can also be huge benefits to knowing how to work an iPad when you are 9 months old. Learning to read, speak another language, or communicate via video from a simple application that can be downloaded in minutes seems like all great things to me. I’m hoping Abbey will be extremely comfortable with jumping into technology, so far she seems to love playing on mommy’s iPad as well as learning to crawl by chasing her babysitter’s iPhone. I plan to track the ways that Abbey interacts with technology and how it is impacting her as I think it makes an interesting case study. I’d also love to hear from you on how technology impacts your family and if you have any nostalgic stories to share about the first time you used a computer, smart phone or tablet. 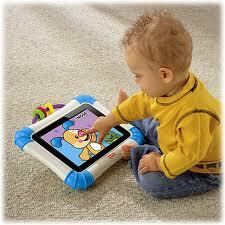 Another topic for another day, how will social media impact our little ones?